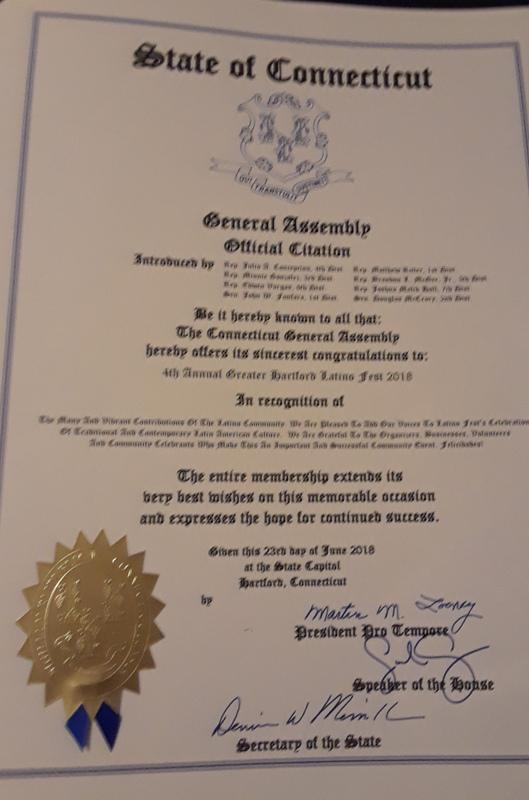 General Assembly Official CITATION – Presented by, State Rep. Julio Concepcion, 4th District of Hartford, Ct. Sat. 06/23/2018.